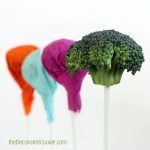 I snicker every time I see these broccoli lollipops. So very cruel, right? 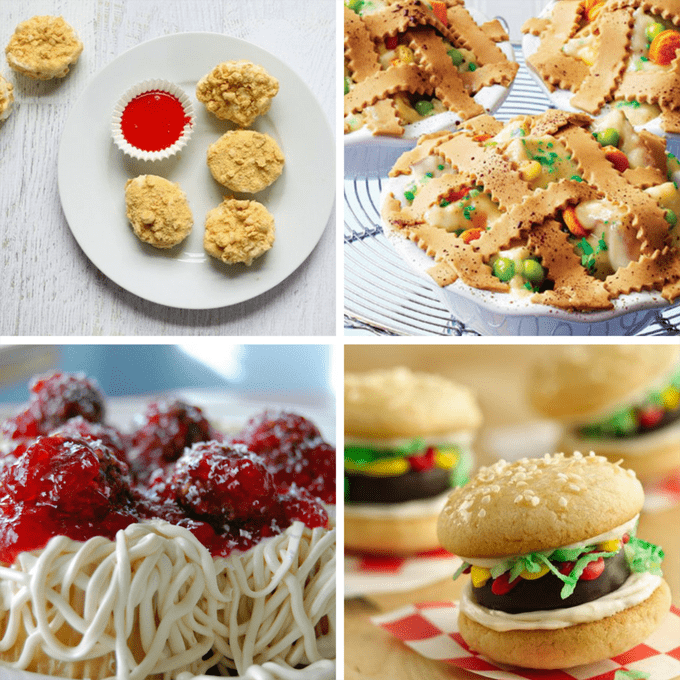 Here is a roundup of other April Fools’ Day food pranks for you. 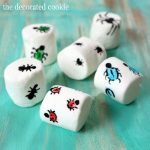 Need more ideas? 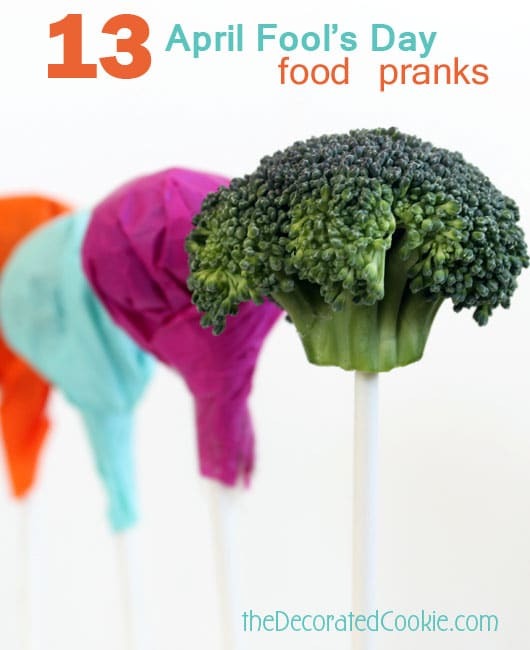 Here are more April Fool’s Day candy jokes with secret veggies. 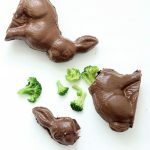 Or this chocolate bunny filled with broccoli. 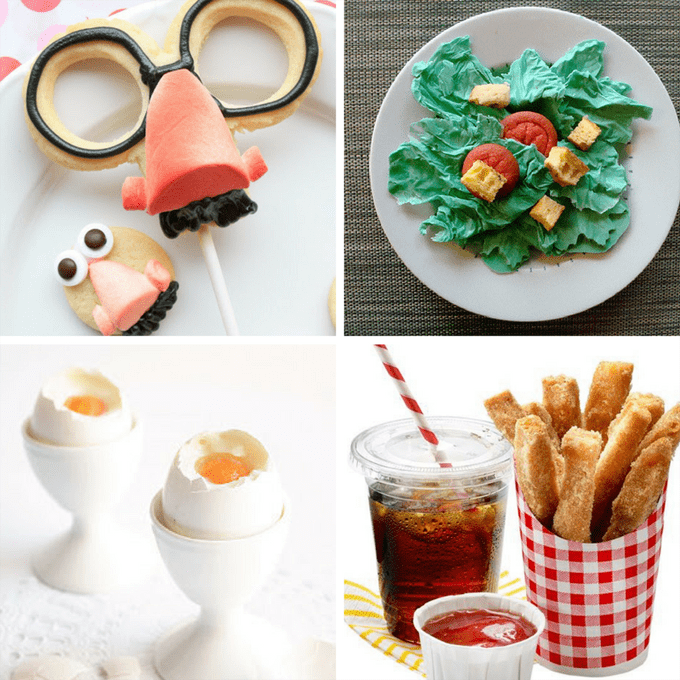 Check out my April Fools’ Day Pinterest board. Vanilla custard and papaya balls makes an “egg” dessert. KFC’s fried chicken! Only not really. Here’s a mashed potato sundae. 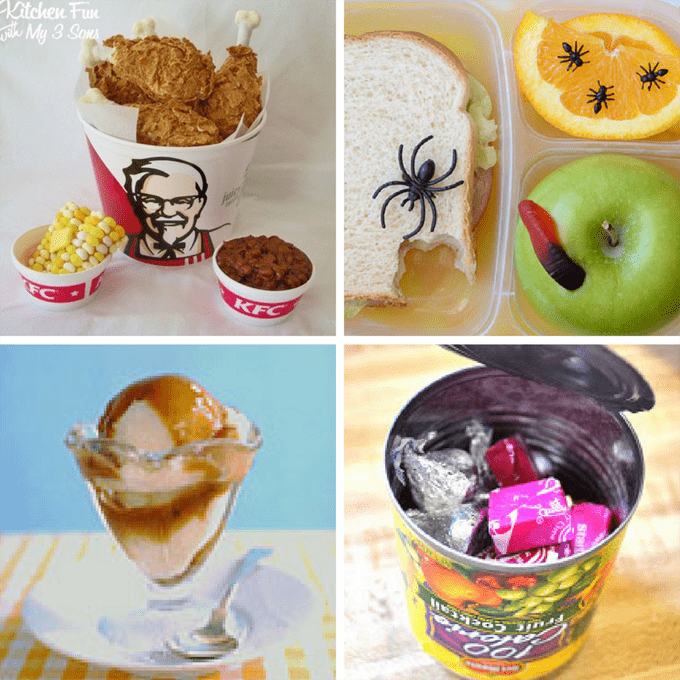 This is a good result: Candy in a fruit can. 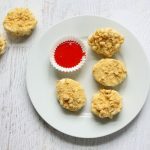 Make cereal treat chicken nuggets. Make some Chicken pot pie cake. Or a sweet spaghetti and meatballs. Loving these mini burger cookies.